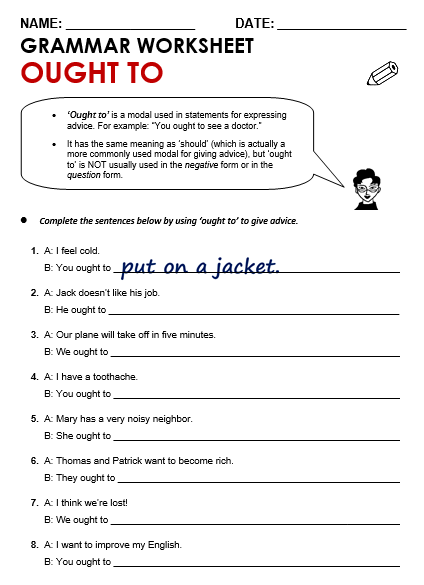 Complete the sentences by using 'ought to' (give advice). Use the spaces provided. Consider extending this exercise by having your learners compare their answers by reading them aloud to each other, and deciding which advice is best.